Take in amazing views of the magnificent Koh Chang scenery from above! Safety is the number one priority and beginners are welcome! It was a nice experience. I felt dizzy in the beginning because of the heat (at 2pm) so I was super happy that they offered fruits and water at the half way break. The second half of the course was so much fun. There are two long ziplines that has a great view of the jungle and the sea. The course was not very difficult but quite fun. 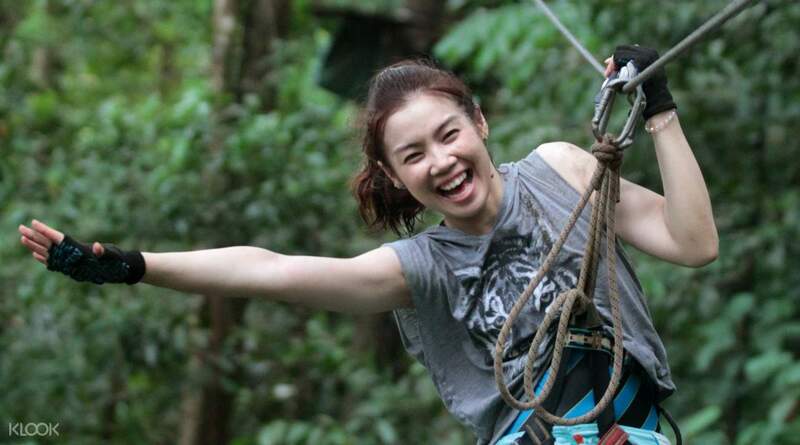 Soar above the beautiful island of Koh Chang, the second biggest island in Thailand, with these tree top adventures by Tree Top Adventure Park Koh Chang. A recipient of the prestigious "Award of Outstanding Performance for Recreational Attraction for Adventure" from the Tourism Authority of Thailand in 2010 and 2013. 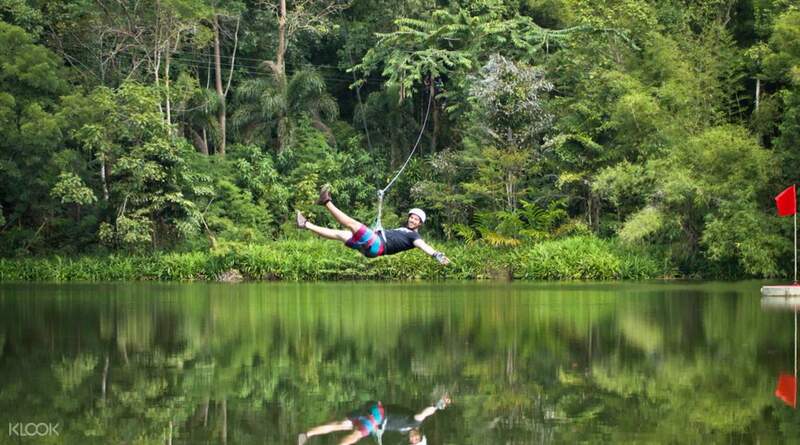 Get to take in Koh Chang's beautiful scenery from above while zipping, swinging, and biking from treetop to treetop! Try out any of the treetop activities available. Cross rope bridges, try out the Tarzan swings, ride the "flying skateboards," walk the tight rope, zipline and more from one platform to another. No matter how old you are, you will enjoy hours of fun and excitement - the perfect activity for family and friends! It was a nice experience. I felt dizzy in the beginning because of the heat (at 2pm) so I was super happy that they offered fruits and water at the half way break. The second half of the course was so much fun. 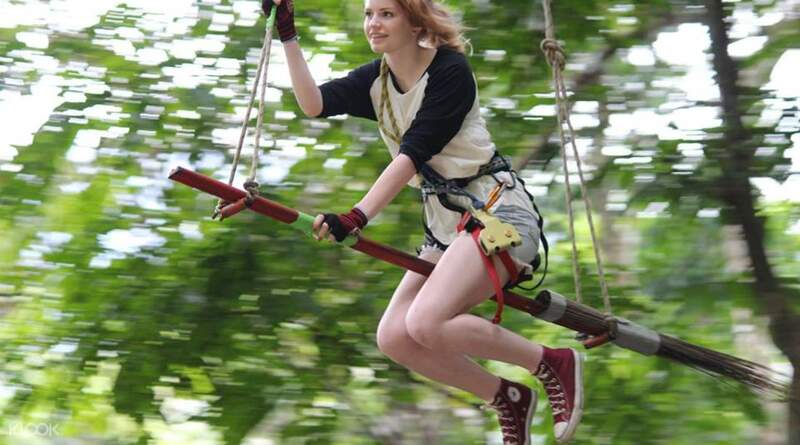 There are two long ziplines that has a great view of the jungle and the sea. The course was not very difficult but quite fun. It was a nice experience. I felt dizzy in the beginning because of the heat (at 2pm) so I was super happy that they offered fruits and water at the half way break. The second half of the course was so much fun. There are two long ziplines that has a great view of the jungle and the sea. The course was not very difficult but quite fun. Having done this type of circuit previously in another country, I was interested to see any differences and there was ! Initially I didn’t think my mobile ticket was going to be valid as the lady on reception was not aware of KLOOK although I showed the advertisement on the website, eventually I signed the declaration/health/safety form and completed the short training session re the use of equipment. The course was interesting & varied but I was hampered with a previously injured foot and at one point I encountered a bit of difficulty and needed advice from a member of staff but was a bit astounded when he said “sorry, no speak English” I eventually got past the hazard and finished the circuit and enjoyed the fruits & water. I would recommend the activity but the full paying price is a little expensive without the Klook/credits discount. Having done this type of circuit previously in another country, I was interested to see any differences and there was ! Initially I didn’t think my mobile ticket was going to be valid as the lady on reception was not aware of KLOOK although I showed the advertisement on the website, eventually I signed the declaration/health/safety form and completed the short training session re the use of equipment. The course was interesting & varied but I was hampered with a previously injured foot and at one point I encountered a bit of difficulty and needed advice from a member of staff but was a bit astounded when he said “sorry, no speak English” I eventually got past the hazard and finished the circuit and enjoyed the fruits & water. I would recommend the activity but the full paying price is a little expensive without the Klook/credits discount. It’s worth! Give us a very nice and impress memory, everyone shall try one time in your life if you are not scare! It’s worth! Give us a very nice and impress memory, everyone shall try one time in your life if you are not scare! We have been to this place for the first time and it was an amazing day! It was well secured and very fun!! We love it!! We have been to this place for the first time and it was an amazing day! It was well secured and very fun!! We love it!! Great experience. The staff are very kind and helpful. A must try if you go to Koh Chang. Great experience. The staff are very kind and helpful. A must try if you go to Koh Chang. Good service and on time. Good service and on time. Staff were not friendly at all, but the experience was great! Staff were not friendly at all, but the experience was great!